The Union Public Service Commission will be conducting the Combined Defence Services Examination (I), 2016 at different venues located at 41 Centres throughout the country on 14.02.2016 (Sunday). The e-Admit Cards for the candidates have been uploaded on the Commission’s Web-site http://www.upsc.gov.in which may be downloaded. Letters of rejection to the candidates stating reason(s) for rejection have already been sent through e-mail provided by the candidates. If any applicant is not able to download his e-Admit Card, he may contact UPSC Facilitation Counter on Telephone Nos. 011-23385271, 011-23381125 and 011-23098543 between (10.00 AM to 5.00 PM) on working day during working hours. The candidate may also send Fax message on Fax No. 011-23387310. The candidates may note that no paper admit card will be issued. The following are the lists, in order of merit, in respect of 167 (137 Man + 30 Women) candidates who have finally qualified on the basis of the results of the Combined Defence Services Examination (I)-2015 conducted by the Union Public Service Commission and interviews held by the Services Selection Board of the Ministry of Defence for admission to the (i) Officers’ Training Academy, Chennai for 103rd Short Service Commission Course (for Men); and (ii) 17th Short Service Commission Women (Non-Technical) Course, commencing in April, 2016. 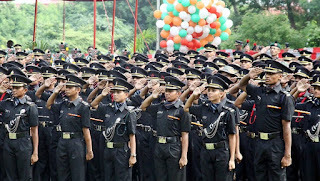 The list of 103rd Short Service Commission Course (for Men) also includes the names of the candidates who were recommended earlier on the basis of the result of the same examination for admission to the Indian Military Academy, Dehradun; Indian Naval Academy, Ezhimala and Air Force Academy, Hyderabad (Pre-Flying ) Training Course(s). 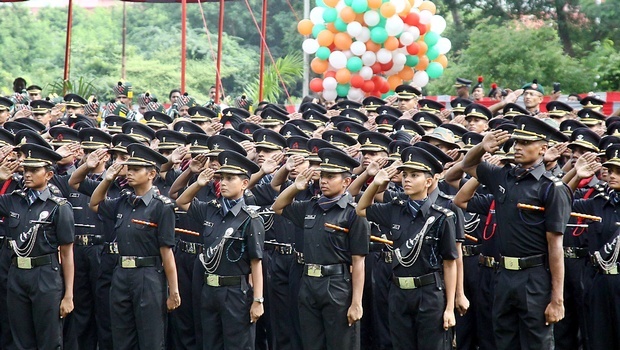 The number of vacancies as intimated by the Government, for (i) 103rd Short Service Commission Course (for Men) is 175; and for (ii) 17th Short Service Commission Women (Non-Technical) Course is 12. Candidates can also obtain information regarding results by accessing to UPSC web-site http://www.upsc.gov.in. However, marks of the candidates will be available within 15 days from the date of declaration of final result on Commission’s web-site for 60 days. Union Public Service Commission have a Facilitation Counter near Examination Hall Building in its Campus. Candidates may obtain any information/clarification regarding their examination on working days between 10.00 AM to 5.00 PM, in person or over telephone No. 011-23385271, 011-23381125 and 011-23098543. Candidates can also obtain information regarding results by accessing to UPSC web-site http.//www.upsc.gov.in .